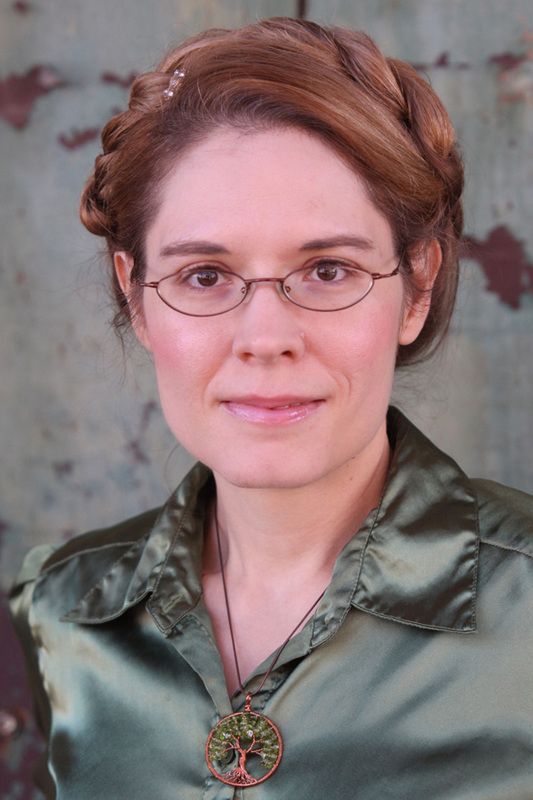 An extremely talented writer and cookie-chef, Beth Cato‘s short fiction can be found in Orson Scott Card’s InterGalactic Medicine Show, Beneath Ceaseless Skies, and many other magazines. She writes for the Chicken Soup for the Soul series. 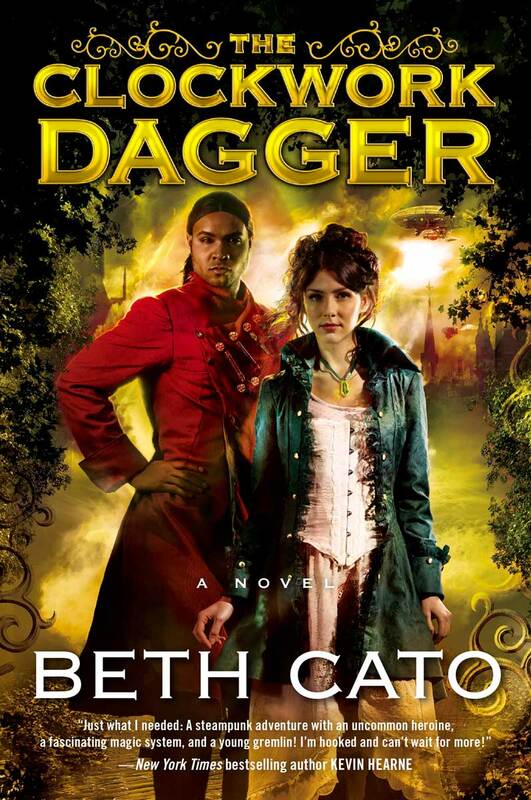 The Clockwork Dagger is her first novel, and the sequel, The Clockwork Crown, will be released in mid 2015. 1. Reading Clockwork Dagger is like relaxing on an inflatable mattress and letting the river take you: it’s easy to read, it flows, it grabs you and takes you out of the real world. Was it like this to write? The initial writing process was like that, too. It’s actually the first book I wrote straight through, and the first that wasn’t started during NaNoWriMo (National Novel Writing Month, which takes place each November). However, the ease of the rough draft didn’t mean the whole process was easy. I spent like the next ten months doing several full book rewrites for my agent as we worked on the world-building and characters. After the book was accepted by Harper Voyager, my editor requested another heavy rewrite. I ended up cutting 10,000 words (10%) of the book at that stage. 2. What is Clockwork Dagger about (in a nutshell) and what kept you interested in this project? The Clockwork Dagger follows Octavia Leander, a powerful healer, as she’s caught in a nasty tug-of-war between her corrupt government and a rogue territory called the Waste. The initial inspiration was to do a steampunk take on Agatha Christie’s Murder on the Orient Express. 3. (I reallyloved that urban fantasy with the superhero healer too!!) What lies ahead for this series and this world (without spoilers)? It’s set up to be a duology, so the main story will wrap up in the sequel, The Clockwork Crown. It comes out in America in June. I also hope to tell more stories set in this world. 4. You also write for the Chicken Soup for the Soul series. What do you write about and why? Yes, I’ve had stories in over a dozen Chicken Soup for the Soul books. Most of them tend to be about my cats, my son and autism, and childhood stories with my grandparents. My life is not exciting at all but I’ve had a lot of those learning moments that translate well to about a thousand words of inspirational story. It’s like writing flash fiction, but it’s nonfiction. 5. As a wife and mother, where and how do you find time to write? That is a tricky question. It can be hard. I say that, and I’m a stay-at-home mom with my child in school all day. My husband works weird shift hours so almost all the household and kid duties fall on me. I wake up by 5am every day. That way I can exercise and get started on writing (or other necessary parts of writing, like emails) before I take my son to school. I deny myself things like Facebook or Twitter until I make a certain goal, like a word count or a scene break. I think about writing all the time. If I’m stuck on a plot point, I go bake cookies, or take a walk. I take paper with me everywhere so I can jot down notes. (Never, ever trust your brain to remember things!) Sometimes I need to lock the door to get writing done. I miss out on fun stuff. I stopped playing video games. There’s a lot of sacrifice, but also a lot of reward. Statement: Novels are much better to read than short story collections. Novels are a much deeper, more cathartic escape, that’s for sure!